Working with Mia is never boring, her passion for design, people and business has contributed immensely to the success of Siren, founded in 2005 as a disruptive start up. She is admired for her bravery, passion and leads her team from the heart! With numerous international and national design awards under her belt including her most recent accolade, the 2018 Inde People’s Choice Luminary award, Mia’s ability to lead, inspire, and grow her talented team make her one of our industry’s most successful practice leaders. Adopted by Australian and English parents, Mia studied in Bristol for her Dip. Art & Design (Textiles). 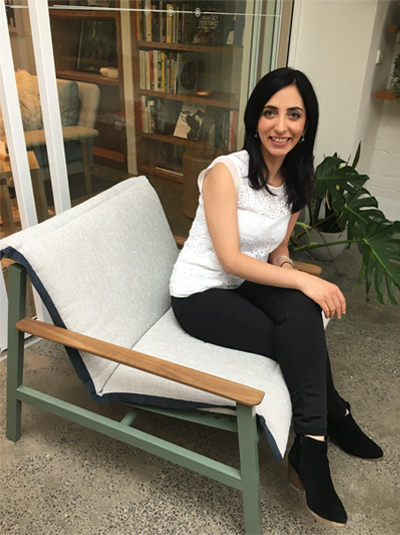 She immigrated to Australia in 1999 and her first job was “starting from the ground up with nothing to lose” as a librarian in a commercial design firm. Featured with: Tembo High Stool from the La Chance, designed by Swedish designers ‘Note Design Studio’, available at Living Edge. Partner and Singapore MD, Penny, has played a lead role in all major design projects for Siren since its inception in 2005. She is one of the industry’s top creative forces winning the 2013 Perspective 40-under-40 Design Star-of-the-Future award in Asia. 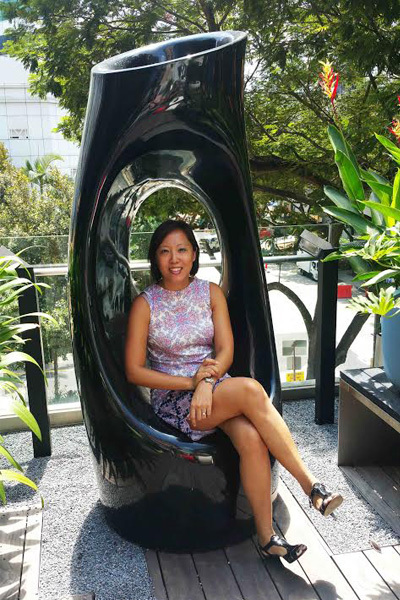 Penny moved to Singapore at the end of 2011 and opened Siren Singapore to support our clients in Asia. 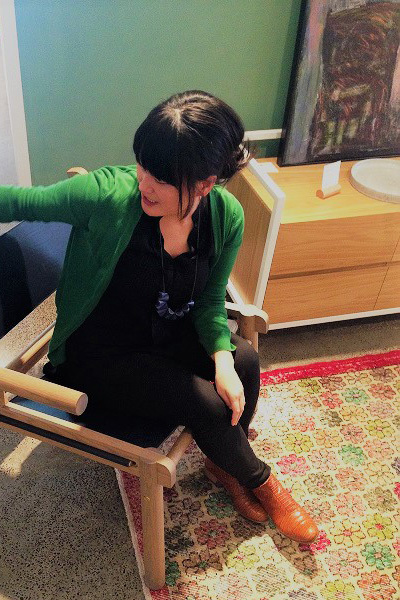 Her primary responsibility is nurturing our growing design team and driving the creative process on all our projects. Penny has a double degree in Interior Design and International Studies, graduating with honours, studying in Sydney and Milano, Italy. Penny’s unique, dynamic and hands-on leadership ensures the success of all our projects, with happy clients coming back for more. Nicole is a Partner and our Melbourne Director. She is responsible for mentoring, inspiring and growing the Melbourne team and business. Graduating in 2005 (B. 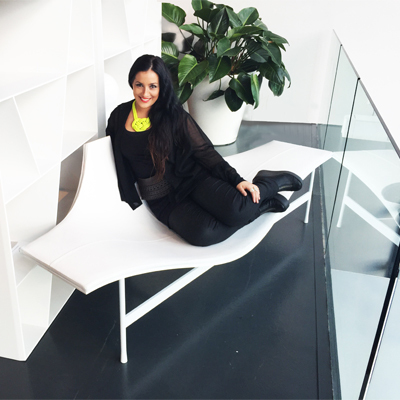 Interior Architecture (Hons), Nicole has worked extensively in Australia and London. She has a passion for gaining an in depth understanding of her clients, their businesses, staff and culture. Nic loves that, as an interior designer, we have the ability to create spaces which shape how the users of a space feel and function in the interiors in which they spend their lives. Nic’s passionate about work and believes in loving what you do. She’s grounded, calm and cool under pressure – steering the course of each project to a successful end. Jeanne was born in London, arriving by ship on the shores of Fremantle at the age of 10 – the last of the ‘ten pound poms’. She’s well-travelled and has spent over half her life in Australia and the rest in UK. Jeanne started out studying Maths at Uni, but ended up gravitating towards Marketing (both begin with the letter ‘M’). She’s embarked on other weird stuff too like being international ballroom dancer and stranger still… being in a girl band. What, I hear you ask, is she doing here at Siren? Following a successful 20 year career in the financial services industry in the UK and Australia, Jeanne left her post as Operations Mgr, Risk – Investment Platforms at MLC to take up the position of GM at Siren Design Australia in 2012, joining at a period of intense growth. She’s responsible for facilitating client strategic briefing workshops, Siren’s internal policies and procedures, people & culture framework/processes and finance. Jeanne says that, at Siren, no two days are the same. London born and bred, she readily admits she’s finally found her sweet spot working alongside Mia Feasey and recently moved into an Experience Manager role – now looking after Siren’s client experience from start to finish … She recently completed an Interior Design course at Enmore and loves being amongst the ‘finishes, fixtures and fittings’ and embraces (is in awe of) the creative ‘flow’ that is the Siren Studio. 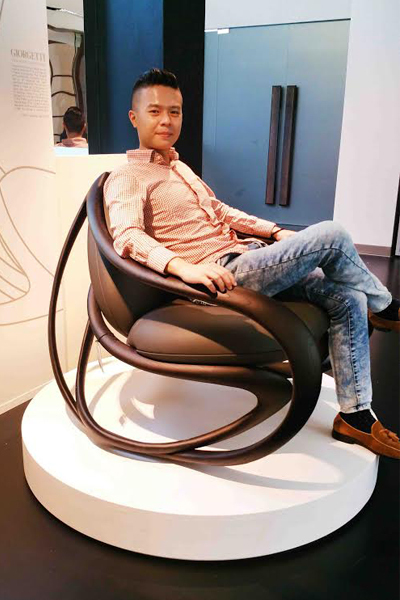 Junlong graduated with a Diploma in Interior Architecture & Design from Temasek Design School in Singapore. Junlong has over 10 years of professional experience in Corporate Interior design. He’s a great listener and has achieved recognition and affirmation from many clients and co-workers for his meticulous and accurate project execution. Junlong is passionate about consistently providing creative, specific and detailed design proposals to meet his client’s requirements and budget. 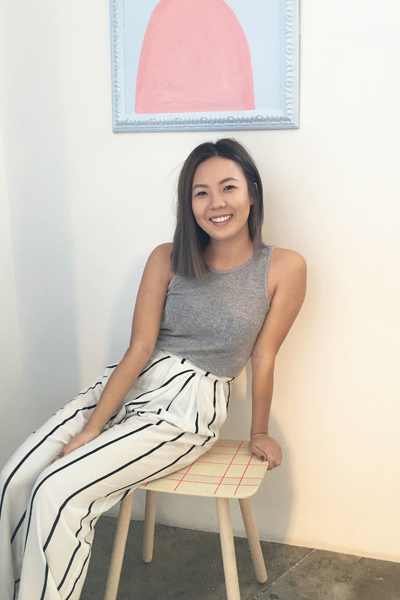 Hana graduated from UNSW with a Bachelor of Interior Architecture and is an all-rounder with a strong passion for creative thinking and beautiful detailing. She has worked in various countries including Australia, UK and South East Asia and has over 15 years’ experience in the field of interior architecture. Hana loves nature, is crazy about travelling and is an avid scuba diver. She is passionate about the environment, supporting local communities and more generally in the human condition. She loves taking a picnic blanket to parks and looking up at the trees… this remedy soothes her computer-tired eyes. Hana also can not stop watching Seinfeld re-runs while cooking. Ask Hana if you want to discover the most amazing and inexpensive Asian cuisine hot spots in Sydney… she knows them all! 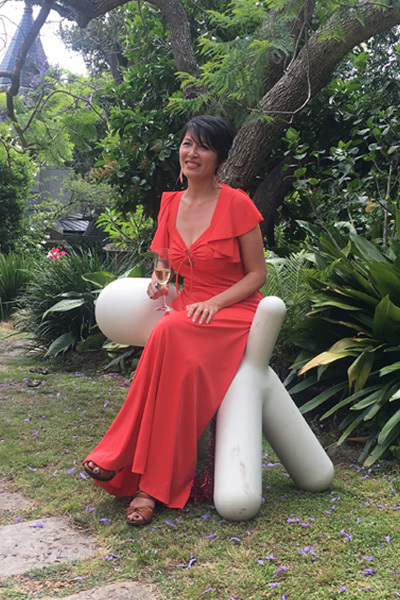 Venesa holds an Advanced Diploma of Interior Design and Interior Decoration, from Enmore Design Centre. She has 12 and a half years of experience and is a highly creative designer that loves translating a client’s wish into a reality – kind of like a genie, actually. When she’s not thinking up amazing designs, V indulges in fine arts, cooking for friends, and dancing in the dark to minimal electro and disco – “silent disco”. 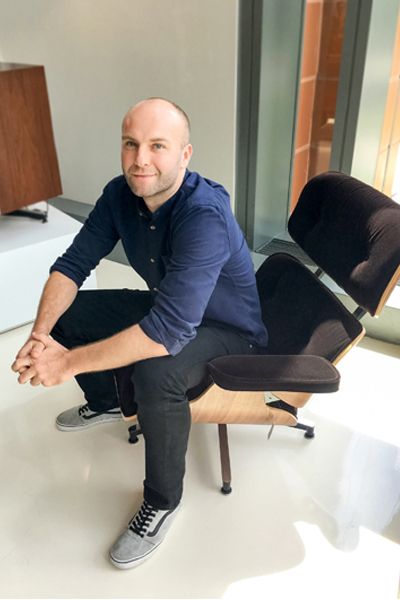 Originally from the UK, Kristian brings to Siren a wealth of experience across corporate, retail, residential and hospitality interiors from London, Singapore, South East Asia, India and China. Kristian is passionate about having a deep understanding of the user and the business to develop unique experiences through environment, digital and service lead interactions that takes a company’s strengths to the next level. He is known for his calm and positive approach in all that he does – paired with his creative insights and design industry knowledge, he keeps our global Siren’s abreast with what’s happening in the world of design and beyond to inspire us all on a daily basis. Verity is Siren Sydney’s Cultural Champion and lynch pin – bringing everyone together beautifully. She is inspired by the incredible talent and unique culture at Siren and enjoys working with creative like-minded people. 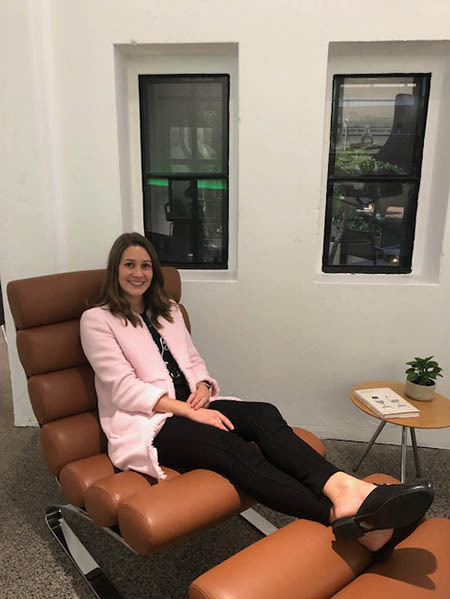 We feel lucky to have Verity’s calm, balanced, switched-on nature to help us steer and navigate the Siren Sydney team through all sorts of amazing adventures. In a previous life and before children, Verity gained a Bachelor of Business and Marketing and worked as a Sales Manager for Australian children’s clothing labels (including running a sales agency for various children’s brands) and later women’s accessories. She was responsible for the growth of the brands and getting them stocked in retailers across the country. After graduating high school, Julie had the choice of pursuing art curation or visual communication studies. She chose Visual Communication for 2 years (a mixture of graphic design, photography, typography & illustration) before realising she had a strong interest in Interior Design. 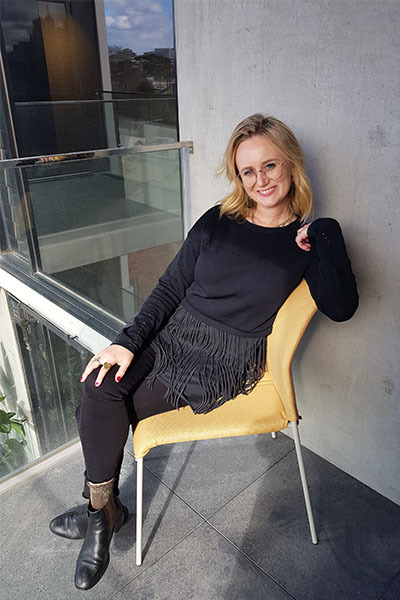 After deciding to follow this passion, Julie completed an Advanced Diploma in Interior Design & Styling and was quickly snatched up by a retail & hospitality design studio for 2 years before joining Siren. 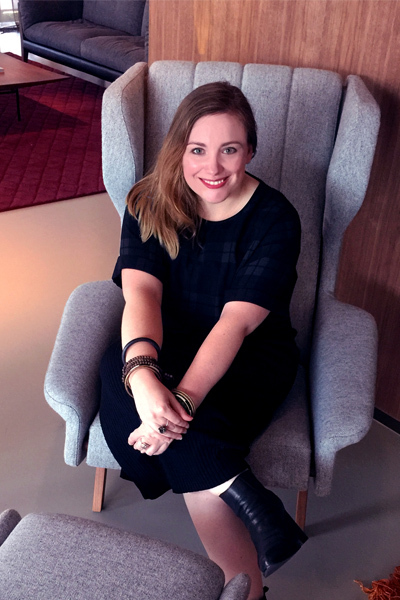 Since then she has gone from strength to strength and is now a Design Manager at Siren, across the team with a particular focus on maintaining high standards, process, delivery and training. At first glance, Julie’s quiet nature may come off as shy but don’t be fooled! She used to ride a skate board, is a quick thinker and well known for her sharp wit. Her eye for detail and capability to think outside the box allows her to present a well-thought out and cohesive design. Julie’s ‘hands on’ approach to design means she’s always fully immersed in every project – preferring to be on site and working directly alongside her clients and colleagues. Julie likes to spend her spare time being a total sloth – when she’s not lounging around or relaxing at the beach, she exercises her huge passion for cooking, which she credits inheriting from her Chinese-chef father. She loves cooking and eating western food & is a self-proclaimed Queen of the BBQ! At Siren Julie is famous for her ‘man-style lunches’ basically large meal consisting of meat and carbs… her favourite carbohydrates are bread and the potato is King. Phik See worked as a Pharmacist for about a decade in London and Sydney before arriving on the shores of Singapore with her husband 4 years ago. She saw it as an opportunity to expand her horizons and pursue a different career path. Phik See is unsinkable, loves new challenges, enjoys learning new things and testing her limits: she believes that “there is something new to learn every day”. She enjoys working with the Siren team, the creative buzz and the feeling of comradeship. When she’s not at work, Phik See is busy running after her two young kids and practising yoga with the very noble intention of someday being able to touch her toes. With an Adv. Dip. In Interior Design, Chloe has been a prized member of the Siren team since 2009, from internship through to becoming an Associate. She has worked on a large array of some of Siren’s key corporate, hospitality and retail projects; was seconded to the Singapore office for a year to help Penny lay the foundations for the Singapore office; and is now the 2IC in our Sydney office in charge of office resourcing and making sure the Sydney team is working smoothly with a smile. Her commitment to her team and her clients, working tirelessly all the while with that gentle and human approach she is famous for. She is encouraging, supportive, yet highly efficient all at the same time – plus she has an absolutely killer sense of humor – the kind that makes you spray hot coffee through your nose! When it comes to chocolate …, Chloe’s will power is non-existent. Nana’s previous work experience stretches from Account Servicing in Advertising Agencies to Jewellery Design operations from Bali. She’s the mother of twin boys and is originally from Borneo. Nana is a naturally organised all-round super woman keeping our Singapore studio operations humming as well as being the EA to Penny Sloane. She is a foodie at heart, with a weakness for any form of fruit, crisps and a glass of white wine. Nana’s vivacious personality and infectious smile make her a pleasure to be around and a valued member of the Singapore team. Featured with: The Crosshatch chair by EOOS. Ellen graduated with an Honours degree in Architecture from University studies in Singapore and Melbourne. 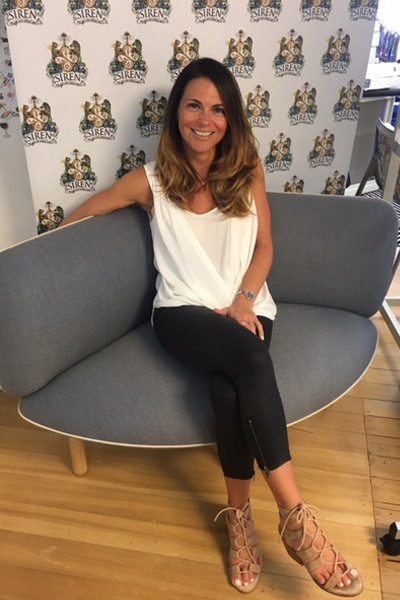 Ellen has over 13 years of professional experience in Interior Design, specialising in corporate, hospitality and retail interiors. Technically astute and with an exceptional eye for detail, Ellen is a very talented and accomplished designer, able to adapt to different architectural styles. She always shows great imagination, style and flair and providing design ‘edge’ whist always exceeding the Client’s expectations. Ellen commands great respect from both colleagues and Clients alike, leading by example. She’s organised, level headed, efficient and controlled. Ellen produces work of exceptional detail and quality on time and on budget. With a background in IT, Jess is passionate about technology of the future, guarding her with a highly refined technical skill set that she pairs with her eye for detail and ever-growing desire to create new, exciting and inspiring spatial responses to brief. A natural leader, Jess thrives in project management, employing her fantastic client relationship skills and using her keen ability to prioritise and conceptualise to deliver the best possible outcome for every client. Jess brings a clear and calm state of mind to each project and has a well-developed understanding of client needs allowing her to deliver adaptable, high quality and well refined design responses. Away from work, you would probably find Jess either travelling, listening to Rnb music or spending time with family and friends munching on cheese and crackers! 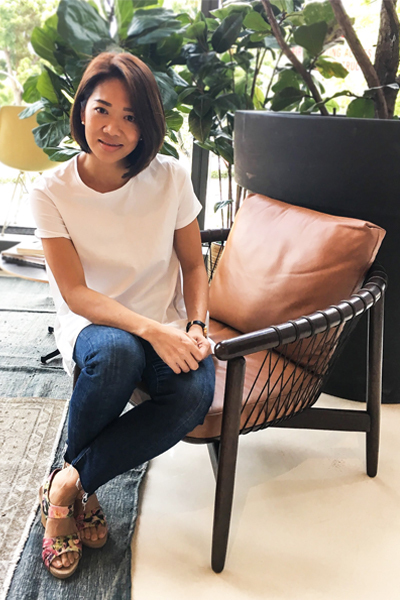 Keng Chun originally hails from Malaysia and is a qualified interior designer who possesses extensive experience in retail and commercial design and has a passion for space planning and conceptual design. He showed creative talent at a young age and developed a love for art and culture. In his spare time Keng Chun enjoys cinematic arts (especially horror movies!). He is also a keen traveller and, so far, his favourite travel destination is Bangkok. Maggie was born in Singapore and raised in Hong Kong. 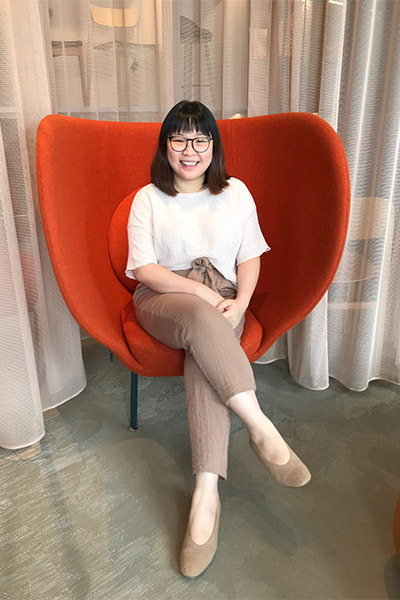 After completing her bachelor’s degree at the Hong Kong Polytechnic University with first class honours, her first job was with a global branding agency. Before the age of 9, Maggie was already immersed in the world of design and could be often found helping her dad with special effects makeup. Her great love for art and design gave her the yearning to ignore her science homework and sketch instead. Maggie has the travel bug and her current favourite country so far is Mongolia. However, she dreams of one day visiting North Korea to witness and experience a culture without globalization. She is a documentary nerd – especially ones featuring landscapes which inspire her design of space. Maggie loves music and her favourite bands are Coldplay and M83, with a particular penchant for dream and indie pop. She’s not a big spender but will pay a small fortune for quality headphones in order to fully enjoy her music. 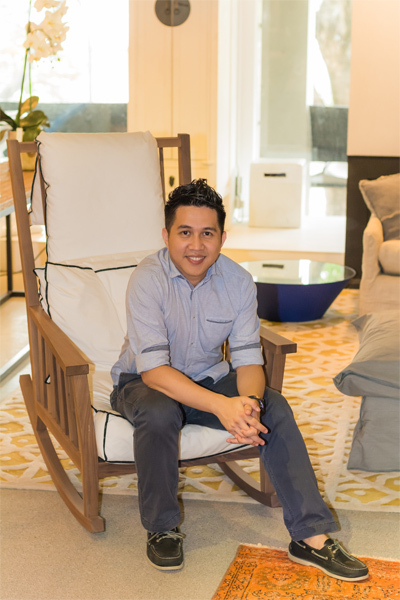 Jonathan brings 20 years of experience and passion for design to Siren Singapore. Growing up, Jon loved to make sketches of cars, houses and superheroes, “it was then I started to visualize myself as someone who would draw and design for a living”. 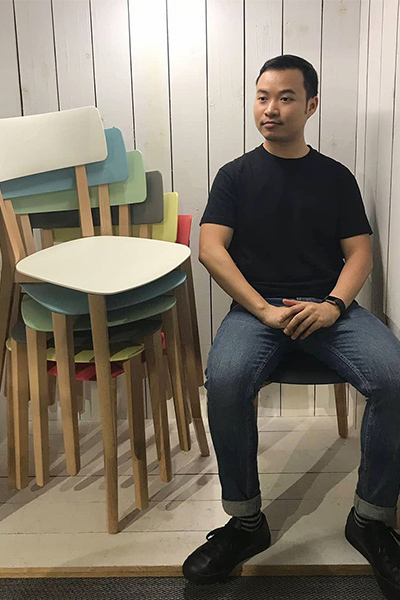 He completed a Diploma in Architectural Technology at the Technological University of the Philippines which provided a springboard to his ideal career as a designer and he loves every minute of it. Marie graduated with an Honours degree in Interior Design from Swinburne University, Melbourne in 2012. 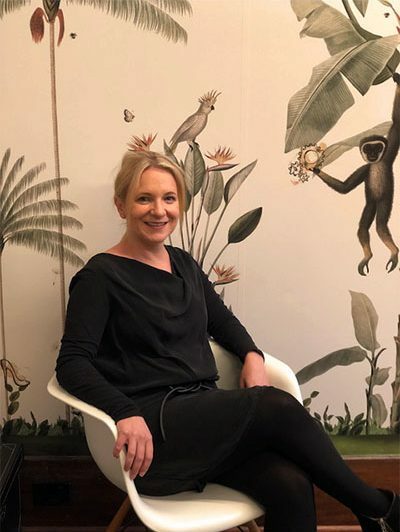 She is a vibrant, committed and a deeply passionate interior designer with a ‘never say die’ approach, who loves creating spaces that positively impact the lives of the people that use them. She promotes creative thinking to achieve considered solutions & quality designs for every project. Her personality and ever-curious nature influences her style and her design approach. She focuses on crafting functional spaces that evoke emotion, yet are relevant for the project and the client. 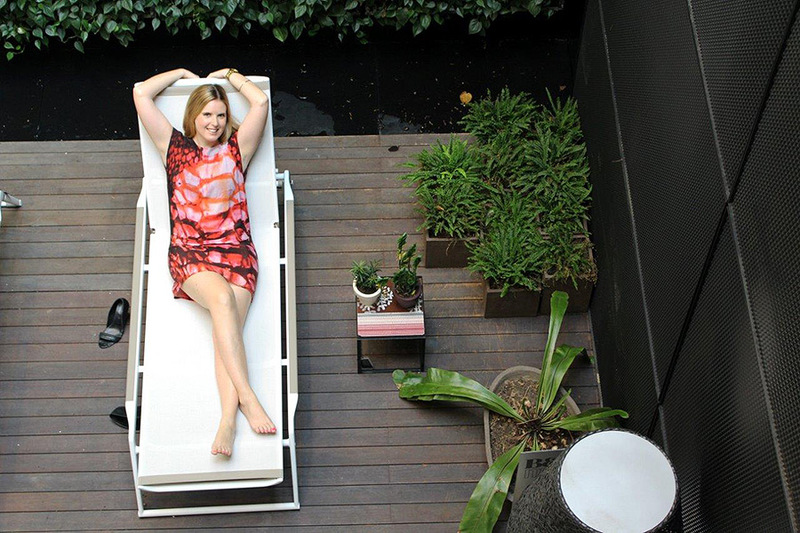 Marie takes every opportunity she can to discover unusual and beautiful things during her travel adventures and while exploring her amazing city in Melbourne. She has a strong appreciation and respect for Architecture that in turn influences her designs. Marie was drawn to Siren Design for the strong conceptual side, the interesting mix of projects that they offer and for the very energetic & close knitted team. Clem graduated from Univeristy of Santo Tomas with a Bachelor of Architecture. Prior to working with Siren, Clem gained experience working on hospitality and residential projects. Clem enjoys the design opportunities and interesting mix of projects that Siren offers. Clem’s intuitive systematic approach on his work allows him to be more efficient and precise on all his projects. His off the wall sense of humor allows him to flourish during critical and tight program and deadlines. Alena describes herself as a dreamer, travel sketcher, story teller, concept designer, design manager, Instagram influencer and architectural illustrator. 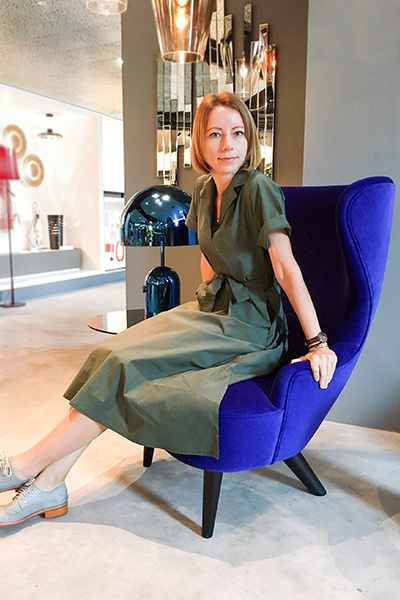 She hails from Russia with over 9 years of professional Architecture & Design experience, with a wide range of experience in corporate, residential and architectural restoration projects in Russia, Singapore and across South East Asia. Alena is a talented designer who has a great ability to adapt to different architectural styles. She shows great imagination and consistently exceeds Client’s expectations. Alena is an art lover and a passionate travel sketcher. Her sketching classes are in high demand and wherever Alena goes, her sketch book travels along. Together with her clients and growing legion of fans, we are constantly inspired when Alena’s pen hits paper. Featured with: The Wingback Micro Chair by Tom Dixon. 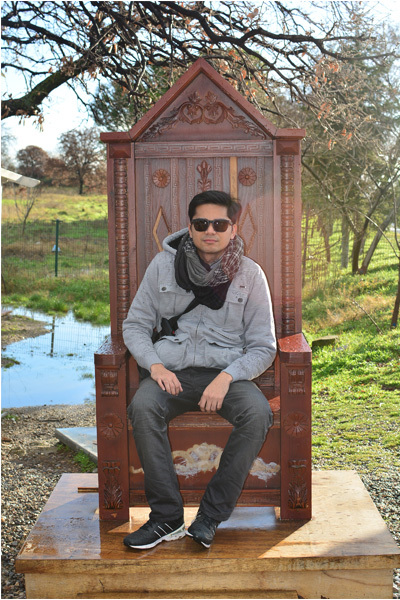 Ramon holds a Bachelor’s degree in Architecture from the University of Santo Tomas and has his professional license in the Philippines. 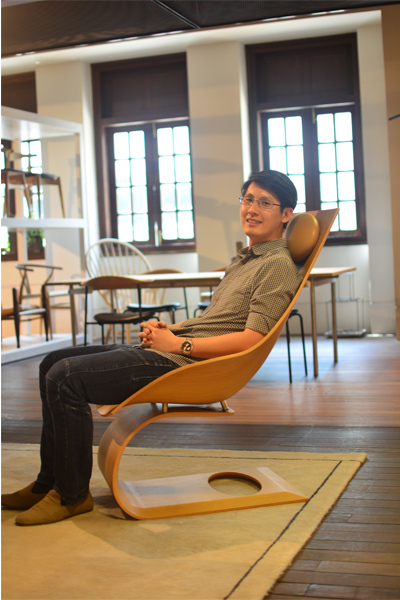 Since he moved to Singapore in 2009, Ramon has handled design projects from workplace to retail. His wide range of project and client experience, combined with his energetic and uncompromising approach has won him many fans among our clients. With a tremendous passion for Design, Ramon excels in strategic planning, conceptual design, design implementation and client management. He takes full ownership of tasks given to him and shows great dedication and enthusiasm which makes him a good team. Ramon is always professional and has served as a mentor to many of his colleagues. Jamie is a qualified interior designer with a B. Commercial Interior Design from Billy Blue. 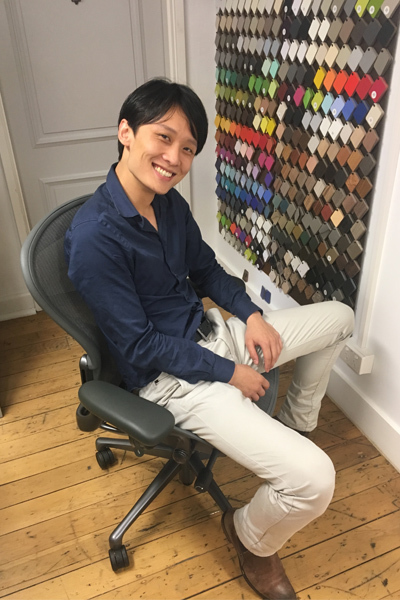 Before joining Siren, Jamie worked in Hong Kong for 3 years specialising in infusing Asian and western design elements into interior design. He is passionate about fashion, construction knowledge and architecture. He likes dealing with unique design briefs that caters to a client’s individual needs. Jamie’s strength is avoiding cliché design elements by utilising modern concepts and contemporary fashion as the core in his designs to create a unique experience for his clients. In Jamie’s spare time, he likes to keep it simple… Enjoying a chilled night out with friends, a couple of beers or just discussing life and drawing inspiration from the collective. His latest passion has been learning to play the guitar and is never shy to try new things – he loves being inspired. He also enjoys discussing ideas with his family and friends, who also form a great source of inspiration for him. 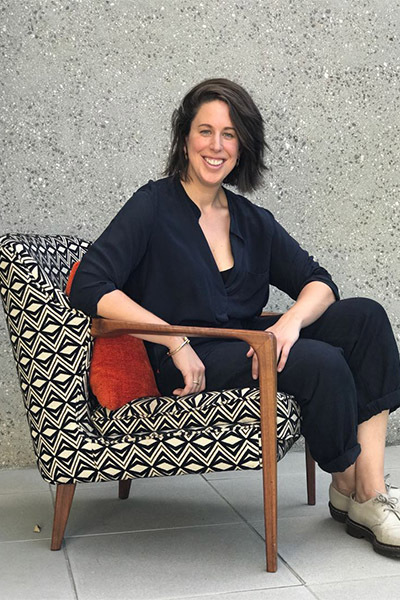 Peta’s design career has been faceted by many varying industry experiences from interior design to construction project management across residential, retail, and commercial design sectors and in London, New York and Sydney. 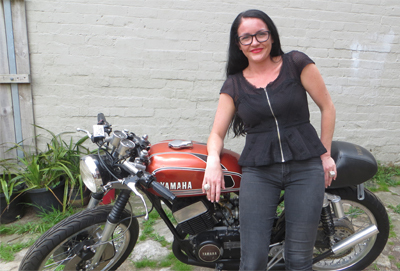 With over 10 years’ experience in commercial interior design, Peta also spends her spare time designing jewellery, motor biking, studying intuitive development, and enjoying live music. She draws her inspiration from nature, history and life in the world at large. Rebecca recently graduated with a distinction from Design Centre Enmore. During her last semester of the Bachelor of Design she completed an internship at Siren. This is where she was introduced to the grand and complex world of creativity. This then transitioned into part time work and finally, a well-earned graduate position within the team. 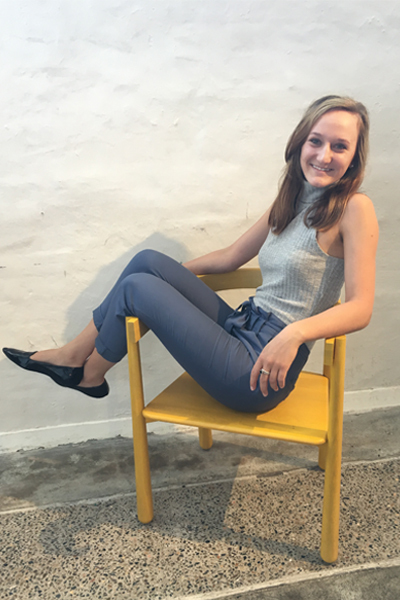 Though a freshling, Rebecca is passionate about all things design and strongly believes that problem solving and creativity make the world go round! If she is not snuggled up with a book and a block of chocolate she is out developing her design flair with a forever positive attitude. 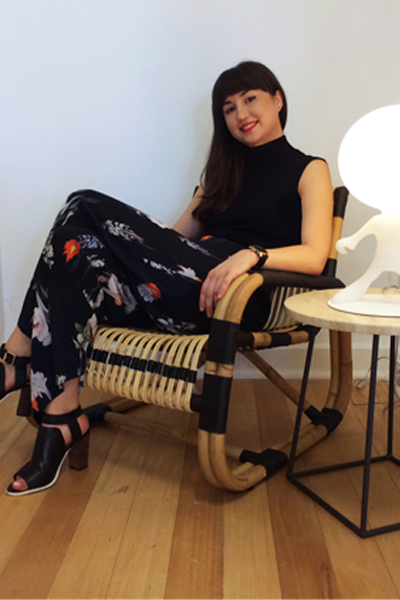 Phoebe hails from sunny Perth and has an Associate Degree in Commercial Interiors. She is experienced in commercial design and is passionate about designing for the user experience: evoking emotion, creating atmosphere and reinvigorating communities. Phoebe’s our Siren Lara Croft who has an adventurous spirit and a love for all things ‘outdoors’. When she is not busy exploring the great outdoors Phoebe reveals her foodie alter-ego and delights in the gastronomic many adventures around her new home ‘Sydney’ – we’re sure Phoebe will never be bored. 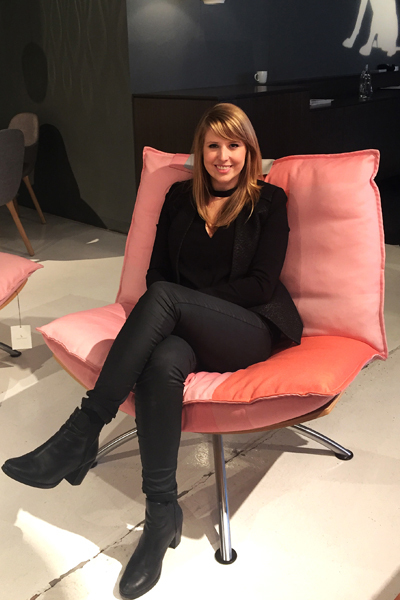 Heidi has over 10 years’ experience working in both Sydney and London in predominately corporate interiors. Heidi graduated from UTS, Sydney with first class honours B. Interior Design. She’s the ultimate ‘all-rounder’ as well as being extraordinarily creative. Her old clients still rave about her and she has many fans, not least within our team at Siren. It’s hard to put your finger on it, there’s just a magic about Heidi and how clients fall in love with her passion to help them realise their perfect design solution – all the while with such a lovely and supportive manner. Her favourite part of design is the diversity of communication. “One day you are presenting to a CEO of a multinational company and the next day you are problem solving with a builder – I love that”. People love to work with Heidi as nothing is a problem! Heidi makes clients feel at ease with her friendly and approachable nature. It’s been said that it’s such a pleasure to work with Heidi, that it hardly seems like work … more like hanging out with a friend. She is great at delivering inspiring and effective design solutions, regardless of budget! Heidi is always up for the challenge. Clients would say that Emily is very practical and that she has a very intuitive approach to finding the right solution for them. She is also talented, reliable, calm and extremely dedicated.She’s a 3D geek and uses music as caffeine instead coffee to get into the VRAY zone. Emily’s expertise is across a variety of projects, including the corporate, retail and hospitality sectors. Arts & crafts | Japan | KFC!!! 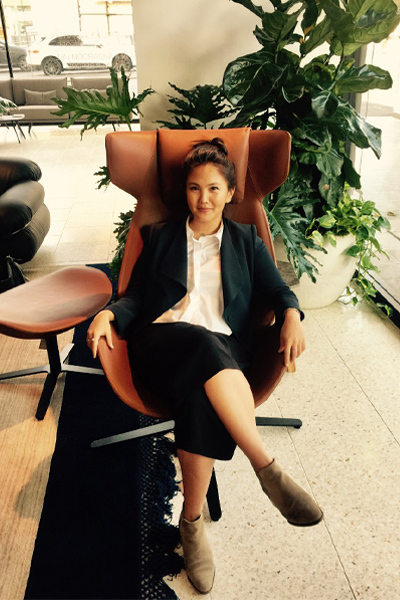 Amelda (aka Mel), hails from a background in high-end residential and hospitality design and has a B. Interior Design in the UK. She is as driven and meticulous in her work as she is in achieving the goals on each project she undertakes – “Every little detail counts” is her mantra. Mel possesses super powers too, in particular she is super speedy at Photoshop! She has penchant for Japanese arts and crafts, and loves all manner of tasty little snacks! When she’s not at Siren,this lady also enjoys kayaking and being out in nature. Her dad, a DIY guru, is her biggest source of inspiration, and Mel has pledged to herself that she’ll learn carpentry before she’s 30! After living in London for 2 years, Claire has returned to Australian shores as an experienced, well rounded Interior Designer. With around 10 years industry experience, Claire creates a translucent fusion of art and interior design. In the earlier days, she dreamed of becoming an artist, and while this is something she draws on everyday, she uses Interior Design as a practical approach to satisfy her artistic mind. She thinks of Sydney as her own Urban Jungle and finds the best inspiration by looking up or into the inimitable details of existing life around her. Claire describes her relationship with design to be an extension of her personality, and in turn her distinctive shine is always apparent. 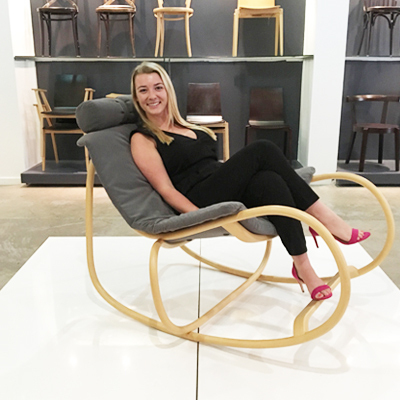 Tess graduated with an Honours degree in Interior Architecture from Monash University, Melbourne in 2014. Tess has a passion for the 3D Visualisation of unique concepts that capture the Client’s imagination. With a multi-disciplinary approach to design, she enjoys working across the intersection of art and design. As a designer, Tess is also interested in the positive effects space can have on behavior and wellbeing. With a zest for bold and elegant design, Tess is excited by Siren Design Group’s diverse range of projects and clients. 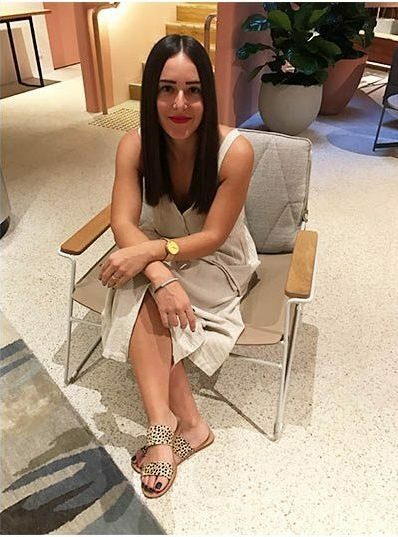 Upon receiving her degree in Architecture at UTS, Grace joined the Siren family and in her words, ‘finally got the older sisters she always wished for’. Since childhood, Grace wanted to be a designer and has always possessed an exceptional sense of space and aesthetics. She loves organised chaos, is extremely creative and knows how to turn a brief into reality by thinking outside of the box. Grace doesn’t miss a beat and is very meticulous when problem solving. She’s a self-proclaimed extroverted-introvert who loves company, but secretly spends her free time riding her bike or catching up on sleep. Grace is Australian with an American accent. She’s a dual citizen, however she likes Australia better. How could she not? Grace says that being away from her beloved family isn’t so hard when she ‘still calls Australia home’. 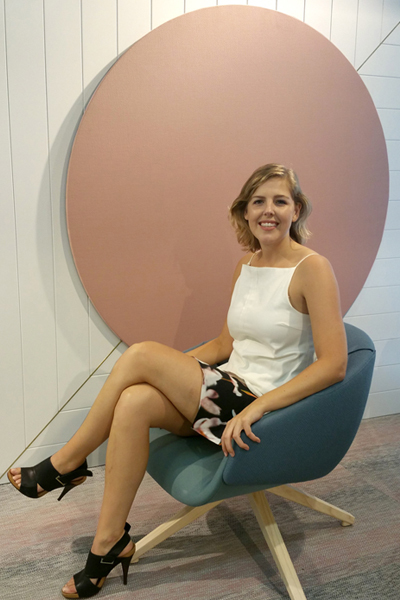 Ellie graduated from Monash University in 2015 with honours in Interior Architecture. She has a keen eye for detail and craftsmanship, which she developed during her time spent studying in Prato, Italy in 2014 and where she immersed herself in pasta and design – Bellissima! Ellie’s always on the lookout for unconventional design solutions, whether these are discovered while exploring her ‘hood’ in Melbourne, or during her travels far and wide. She’s an avid ‘to-do list’ writer. Her bold creative streak coupled with her detail-orientated vibe help her to approach design solutions for each project in a lateral and unique way. 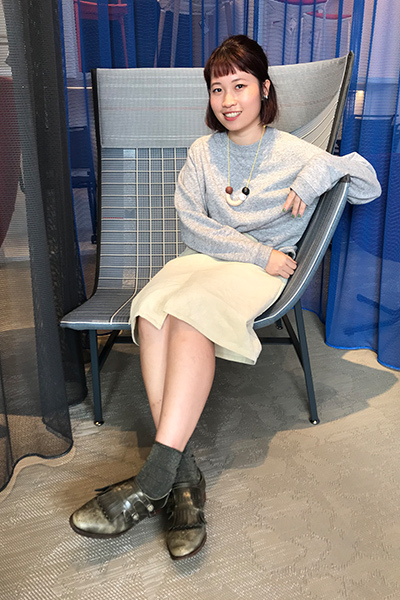 She won the Monash University prize for Most Outstanding Interior Architecture Project for her final research project exploring collective memory and space. She’s super excited to be working at Siren and celebrates the team she says has “such a diverse range of talents and interests”. Jenny is a vivacious designer with a natural creative fire. Graduating with a Bachelor of Interior Architecture, her curious mind interlaced with her easy going nature results in an adaptable and versatile member of the siren team. 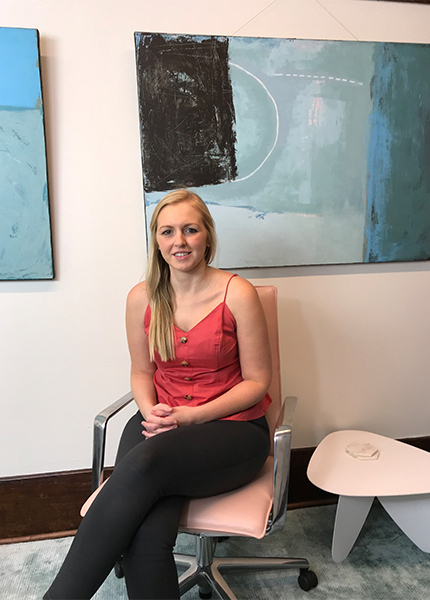 Jenny looks up to Isle Crawford and believes that her philosophy behind interior design is one of the most motivational factors for her work and aspires to present her work in a similar manner. She loves discovering new and upcoming furniture designers and the satisfaction that comes with a project coming to life. Originally from Melbourne, she is a well travelled designer who is always up for new challenges. Traveling around Asia, she learn to love hiking in Hong Kong and embrace cultures in Shanghai. She is adventurous, inquisitive and spontaneous which means that she fits into new environments easily and makes her an absolute joy to work with. Jenny graduated from the University of Portsmouth with a First class Honours degree in Interior Architecture and Design. Her goal as an interior designer is to enhance human experience with spaces and integrate new and innovative technology into her work. She loves the little details that have a big impact on the overall design and is inspired by rich and colourful cultures. She finds some of the best encouragement to be intrinsically engulfed in aspects of everyday life and regularly finds ideas in movies – the best way to travel back in time or to the future. 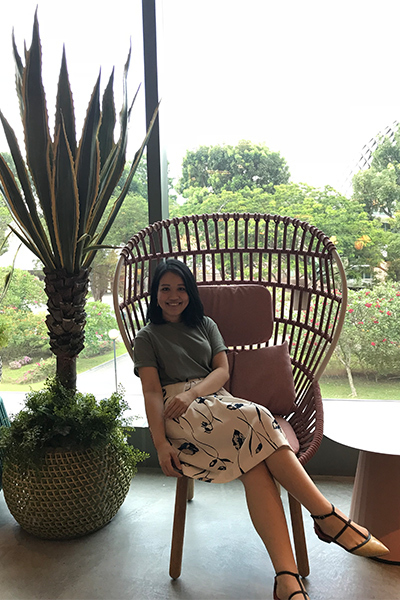 A Vietnamese food enthusiast, adventure seeker and bucket list dreamer, Jenny is an exceptional addition to the Singapore team. 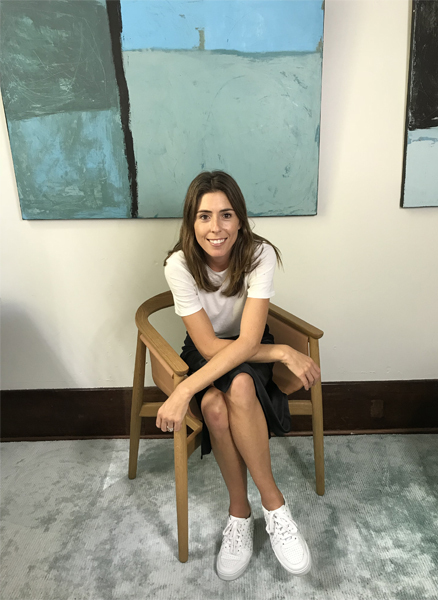 This former Chartered Accountant turned fabulous designer threw in her accounting and finance degree for an Advanced Diploma of Interior Design at Billy Blue and never looked back. Now living out her dream job, Jacqui gets a lot of her design inspiration from enjoying the simple things in life whether that merely be while out and about on the weekend, strolling the Botanic Gardens or National Gallery, Jacqui always makes sure she is appreciating and absorbing the beauty of nature and her surroundings. A strong communicator, Lauren is incredibly compassionate about ensuring the wants and needs of her clients are met in every project. 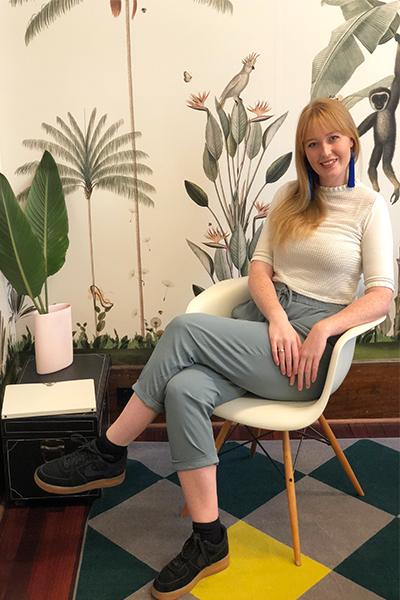 Lauren’s passion for design was heightened while completing her studies in a Bachelor of Interior Design (Hons) at RMIT University, Melbourne. The idea of incidental exchanges and noticing the small details in her surroundings whether that be at work, through travelling, or just out at a café, all play an integral role in shaping and inspiring her style and developing her conceptual process. 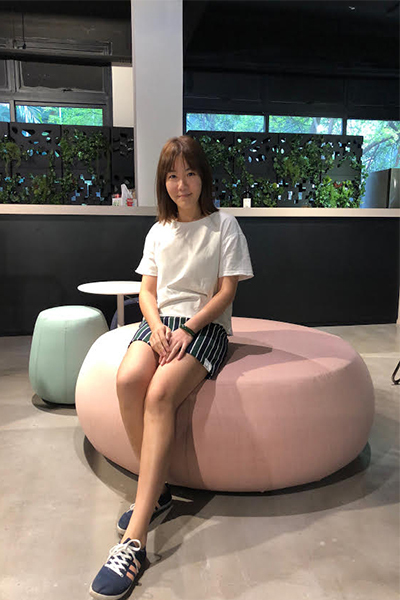 Having been nominated as one of the top 30 talents across her previous company in Shanghai, Mamo is an incredible asset to the Siren team in Singapore. Mamo studied Interior and Spacial design at the University of Arts, London and loves that her role as a designer can help to bring happiness to her client’s lives and uses her strong ability for sketching to portray her thoughts. Mamo enjoys summer all year round, searching Singapore for the best Hotpots and finds motivation for her design style through installation art pieces, stage setting and performance and graphic design. 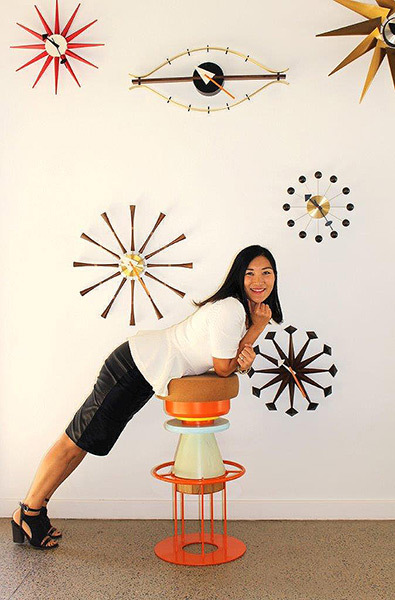 Born and bred in Singapore, Melati came to us from a Design and Build background. After first discovering her love and talent for drawing, painting and designing while in Secondary school, Melati continues to develop her creative flare outside of work through acrylic canvas painting and being a freelance makeup artist on her days off. 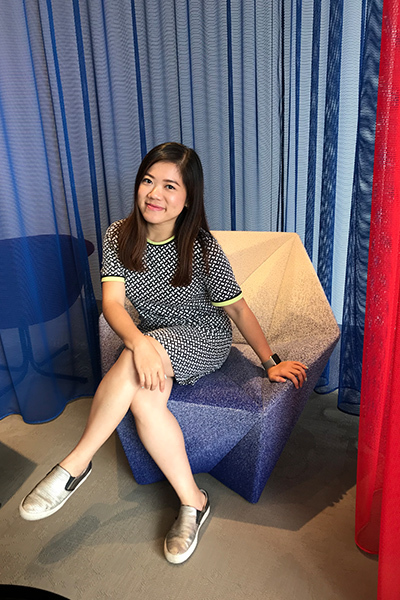 An avid lover of Karaoke and indulging in her wardrobe, she is incredibly determined and hardworking and makes a fantastic addition to our Singapore team. 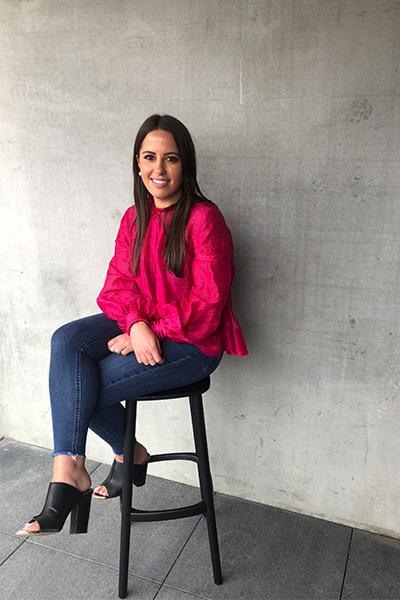 Stephanie brings with her 8 years of industry experience, specialising in commercial and hospitality design where she has developed her minimalist design style. She loves to keep her projects paired back but is not afraid of adding a touch of metallic or boldly coloured bling to spice up the space and bring everything together. A passionate traveller and Collingwood supporter, Steph is always up for a good chat and laugh and injects a huge element of knowledge and fun into the Melbourne team. Well respected within the industry, Lauren’s career spans over 20 years of experience with top design firms across Australia and Europe. In this time, she has worked on an array of projects encompassing the areas of residential development, high-end hotels, innovative commercial work space developments, and everything in between. Lauren is a true leader and promotes an incredible depth of knowledge and contagious passion into every project she works on. Her technical diligence and organisation paired with prodigious client understanding, ensures the smooth resourcing and understanding of all projects, delivering the highest quality ideas and finishes every time. 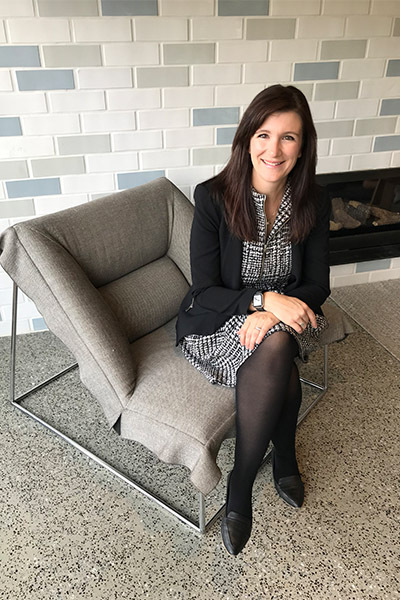 Jennifer completed a Bachelor of Interior Architecture (Hons) at Monash University and has a varied design background, spanning from Commercial to Residential, Aged Care to Retail. Designing and building her own abode in her downtime, Jennifer gets her inspiration from the simplicity of nature and the materials in her surrounds, which she loves dreaming up adaptations and new uses for. She has an incredible ability to see the bigger picture and doesn’t sweat the small stuff, making this level-headed bookworm an integral part of the Siren team. Angelia grew up with multiple family members in the creative industry. Surrounded by Interior and graphic designers, art directors, illustrators, photographers and videographers, creativity and design is in her DNA. She attributes her passion and flair for creativity to this exposure and credits them for helping her develop the strong attention to detail that is translated on all projects she is apart of. Not afraid to inject pops of colour and pattern to a design, Angelia get’s a lot of her inspiration from travelling. Be it while visiting museums or quaint boutiques and coffee shops or simply while exploring her general surroundings, she will always find something beautiful and detailed to capture on photo and transport into her designs. 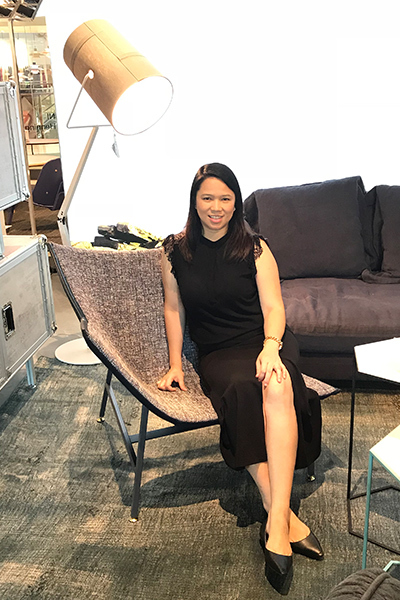 An Architect by trade, Aileen was drawn to the creativity of interior design through her love for furnishing, colour combinations, detailing and textures. Drawing inspiration from her surroundings, especially while travelling and experiencing different food and cultures, Aileen thrives in environments that encourage good vibes, positivity and growth, finding this to drive her creativity and inspire her to fulfill design challenges. Her cool, calm and collected nature instills complete confidence in all clients and ensures every element of a project is thoroughly looked after. Having interned with Siren, Jacob was offered a permanent role as a designer, bringing his burning passion, design thinking and well developed communication skills to every project. His determination and charismatic yet professional nature is paired with his strong on trend eye for detail, allowing him to create dynamic design solutions for his clients and truly opening the door for incredible creative collaboration both with clients and colleagues. 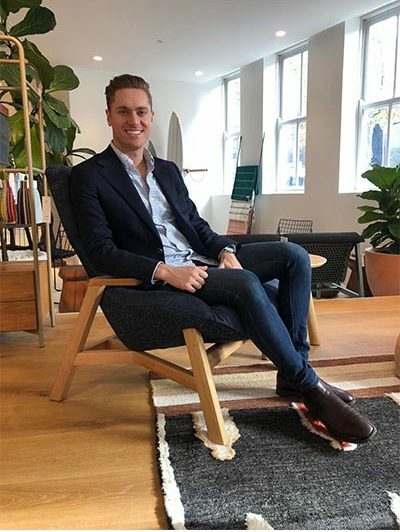 When he’s not at work, Jacob can be found exploring eateries, hitting the beach and catching up with friends and family all the while running his inspirational design instagram! 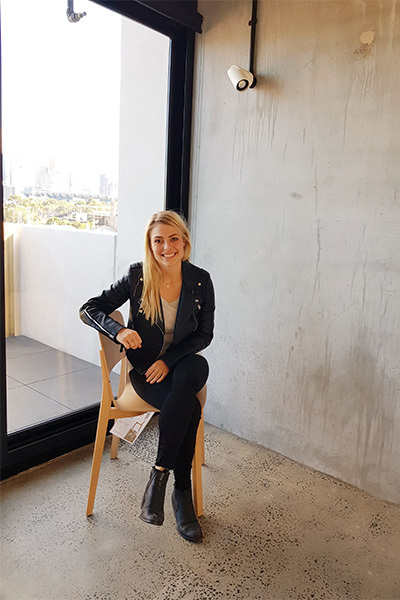 Emily joined the Sydney team after graduating from the Sydney Design School with a Diploma of Interior Design and brings a great sense of passion, determination and aptitude to the team. A talented designer with a keen eye for detail, she loves working with composition, balance and textures and draws a great deal of inspiration from the earthy tones of nature. Strolling the Saturday markets with a coffee in hand by day, Emily loves nothing more than settling in for a night of wine and cheese with friends where they can discuss plans of returning to her favourite place in the world, New York City! 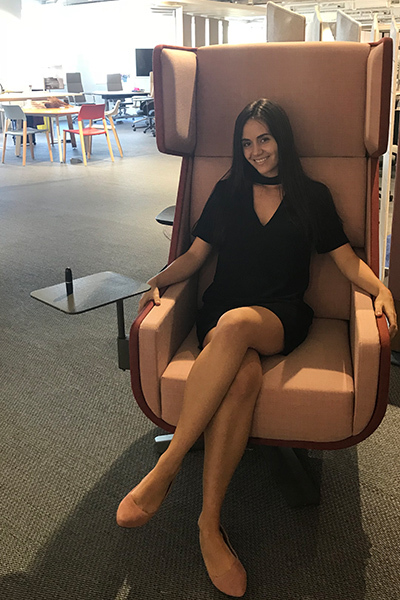 Graduating from a Bachelor of Interior Architecture, Victoria’s incredible work ethic, organisation and passion has earned her a well respected position within the Siren Sydney team. Victoria takes on every project with a great sense of dedication and commitment, pairing an incredible level of creative prowess inspired by nature, art and human behaviour, with her highly professional manner, establishing confident relationships with clients and colleagues alike. Nicolle is a zealous designer who thrives in fast paced environments, bringing a high level of energy, enthusiasm and creative ability to every project. She enjoys pushing the boundaries of materiality to create practical and unique spaces that enhance the clients overall experience. Nicolle’s strength is partnering clients who require solution focused design with a keen understanding of their business needs. Her dedicated and professional yet friendly approach as well as her calm nature instills confidence in all clients and ensures her projects run smoothly. Jayne is a passionate designer with a true ability for finding the greatest potential in every project. 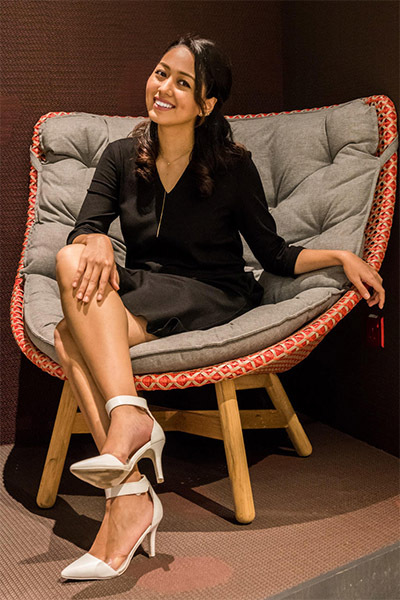 Growing up, she had a real flair for creativity and this led her to the decision to study a Bachelor of Arts in Interior Design at the LaSalle College of Arts in Singapore, further developing her craft and defined eye. Jayne finds a great deal of inspiration to come from scrolling her fellow creatives Instagram feeds but admits that being outdoors exploring with her son acts as another source of inspiration. From an early age, Zoe has always been inspired by the colours, textures and patterns of nature. 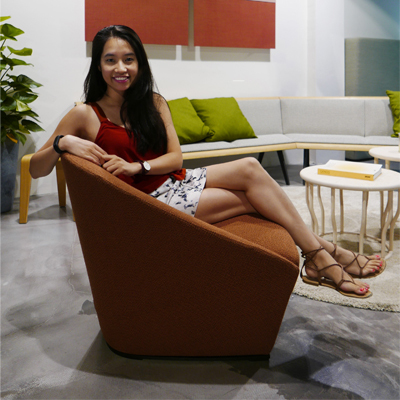 From the intricacies of a flower to earthy surface tones, this fascination of elements and attention to detail drew Zoe into a creative career path and inspired her to complete her Diploma in Interior Architecture and Design at Temasek Polytechnic. Ceramic making is another true passion of Zoe’s. She finds it to be a type of expressive meditation and was so intrigued by the art that she decided to study it, obtaining a Certificate in Ceramics from Nanyang Academic of Fine Art. After graduating and gaining experience for 2 years in London, Martha made the move to Sydney where she joined the Siren team and never looked back. Experienced in unifying brand identity and design elements to create a cohesive experience, Martha prides herself on her positive and calming nature and her ability to confidently deliver the desired outcome for every client. An avid traveler, there is nothing more perfect to Martha than hitting the slopes for a few weeks of skiing. Nesia is a happy go lucky designer who has developed her design inspiration through exploring different textures and materials, paying close attention to the finer details. 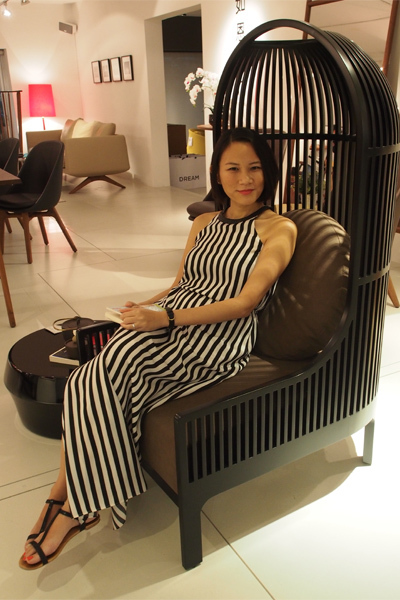 She developed her meticulous attention to detail and high technical ability at the One Academy in Kuala Lumpur where she studied Interior Design, relocating to Singapore after graduating to follow in the footsteps of her older sister. Nesia is not afraid to go outside of her comfort zone to learn new things and achieve her goals both on projects and in life! 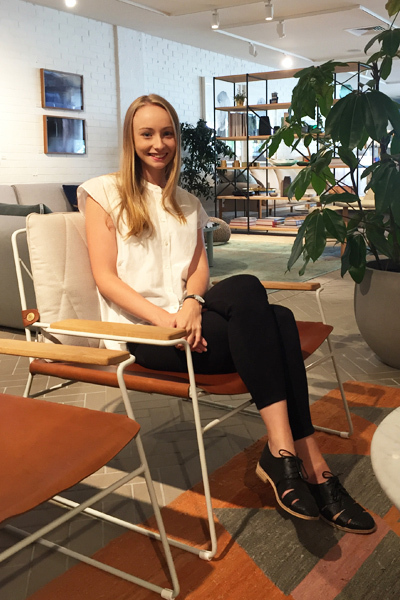 Ellie completed an Advanced Diploma of Interior Design at Sydney Design School and has since worked across a number of industry areas, gaining valuable experience across the board, with a specific focus on retail, hospitality and residential. Ellie has an ambitious attitude and is courageous when faced with new challenges and opportunities. She has a strong technical design ability and is incredibly confident on site. 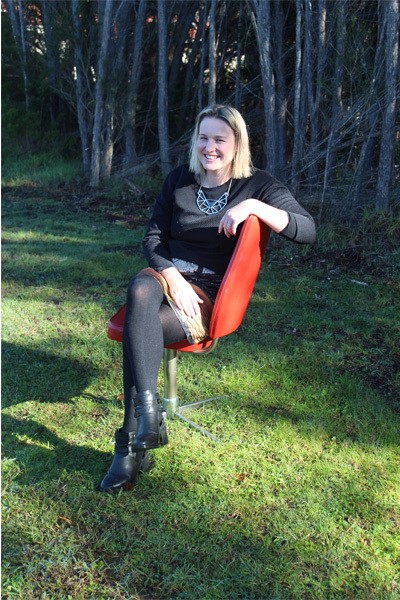 When she is not dreaming of design, Ellie enjoys indulging in experiences that take her out of her comfort zone as well as going on long bush walks with her beloved dog. From an early age Gabby appreciated the arts, taking a specific interest in installation art at school. She found herself imagining the ways in which a piece of art could be manifested in 3D form and further developed this way of thinking at RMIT University where she completed a Bachelor of Interior Design. Whether it be fashion or architecture, Gabby loves all areas of design and attributes a large amount of her inspiration to her many travel adventures. Panya is a passionate designer with a natural ability to manage all levels of communications between the many groups and individuals involved in a project. 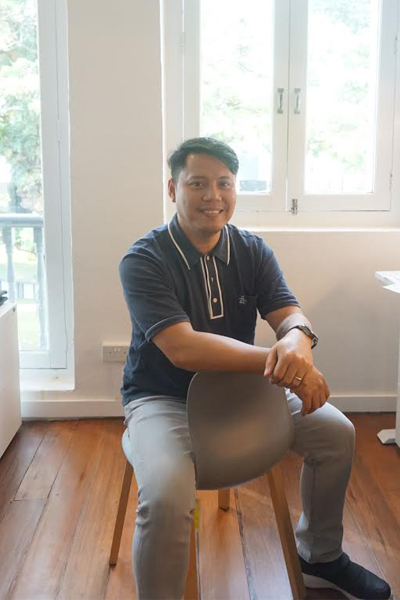 Panya graduated with a Bachelor of Architecture in Interior Architecture from The King Mongkut’s University of Technology Thonburi in Bangkok Thailand and furthered his studies here completing the Post-graduate Certificate Course in Lighting Design for Interiors. 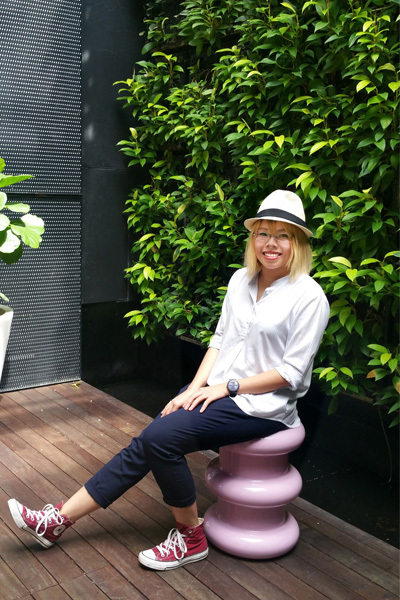 Following a few years of working as a graduate in Thailand, Panya has had the opportunity to work across a range of different projects and industry areas in Singapore, Hong Kong, Beijing, Shanghai, South Korea, Vietnam, excelling in the areas of creative and space planning. 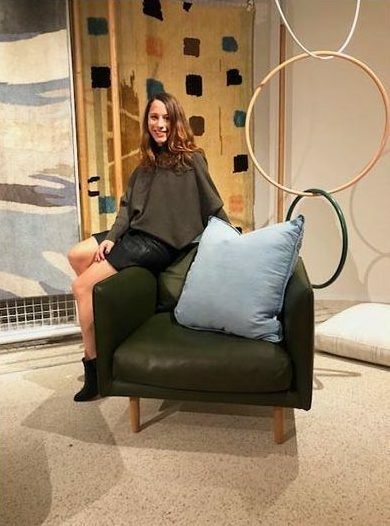 Originally beginning a degree in Interior Design in Norway, Sara planned to move to Singapore for a gap year but felt at home there and decided to stay, completing a Bachelor of Interior Design at Lasalle College of Arts. Sara approaches all projects with a calm and peaceful state of mind, one that she has developed through her love of yoga. A true optimist, she has a great ability to find the positives in any situation. A fan of Picasso, Sara channels the boldness of his art into her design inspiration.